Maestro Adolfo Gomez, grand seigneur of Bandoneon, the young and genial Alberto Pereyra, the amazing pianist Roberto César Calixto Cicaré, who in his youth had played together with Oswald Fresedo, the double-bass virtuoso Pablo Gatto and last but not least, the wonderful tango singer Marikena Monti. Together with first-chair soloists of Junge Philharmonie Köln they formed a unique blend of European & Argentine band sound during their sejourn in Germany. 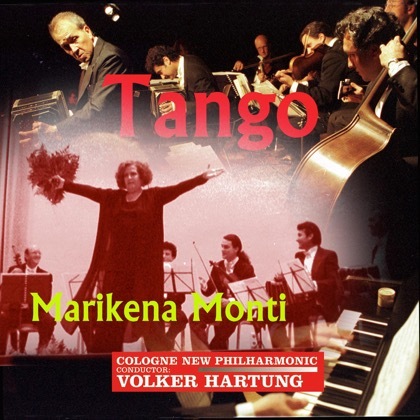 Together they revived the greatest tangos of the past century and brought this program to an enthusiastic German public. Rarely will one listen to a recording of Tango music played with more devotion and fire. The young musicians of the Cologne Orchestra were carried away and overwhelmed by the overpowering emotional impact of this great music. Some of them regard this experience to this day as the most musical rewarding in their memories. One may listen to this feast of sound and emotion and feel the same joy, than they did, when recording it live in concerts at Düsseldorf and Bonn in October 1997. Now available an all media platforms like iTunes Music store, Spotify, Amazon and many others under the JPK-Musik label. 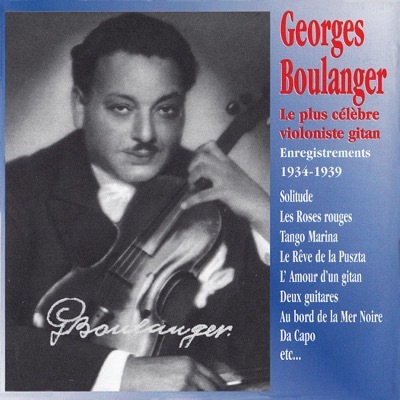 Georges Boulanger conquered the field in Berlin of the 1930s as one of the greatest and most famous Gypsy Violinist with his incomparable tone, his vibrato, his great virtuosity and distinguished showmanship. Those who listen to his recordings have an encounter with greater art and much fun! One can hear his delightful compositions, his standards and classics, the tangos of his best time which, thanks to modern techniques, again sound fresh and new - better than ever. It makes him unforgettable. Salon Music and Georges Boulanger: DA CAPO!